Is teaching one of your callings? Do you feel you have knowledge and experience that others could benefit from? Learn how to become a PICC instructor. The PICC Instructor Training Program was developed to teach YOU how to become a PICC instructor and share your PICC experience and knowledge with other clinicians and medical professionals. We have developed this training program in response to your desire to become prepared and qualified to instruct PICC classes. 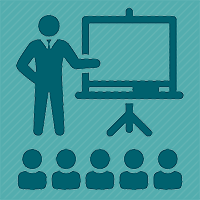 The PICC Instructor Training Program is arranged in three sections: Instructor Basics, Curriculum Development, and Class Set-Up. Each of these sections includes resources, references and various teaching strategies. Throughout the course, you are asked to complete various assignments and exercises within each section that lead you through a step-by-step process in the development of your class. Complete each assignment in the order in which it appears. It is placed within the pages of the course to help reinforce what you have just learned and to help you create and develop your course. There are two options for CE credit. The online portion of this class earns 3.0 CE's. To receive your PICC Instructor Certificate and up to an additional 10 CE's, additional materials must be submitted including: sample class slides, Insertion History Documentation Form, amount of time spent completing exercises and your summary Evaluation form. The program includes a manual which can be downloaded for future reference. Successful completion of the post-test with a score of 80% or higher is necessary to receive continuing education credits for this program.